Immaculately clean and well kept home with only one owner! This ranch style home sits in the middle of the cul de sac in an established neighborhood that is still growing! 3 bedrooms, 2 full baths. 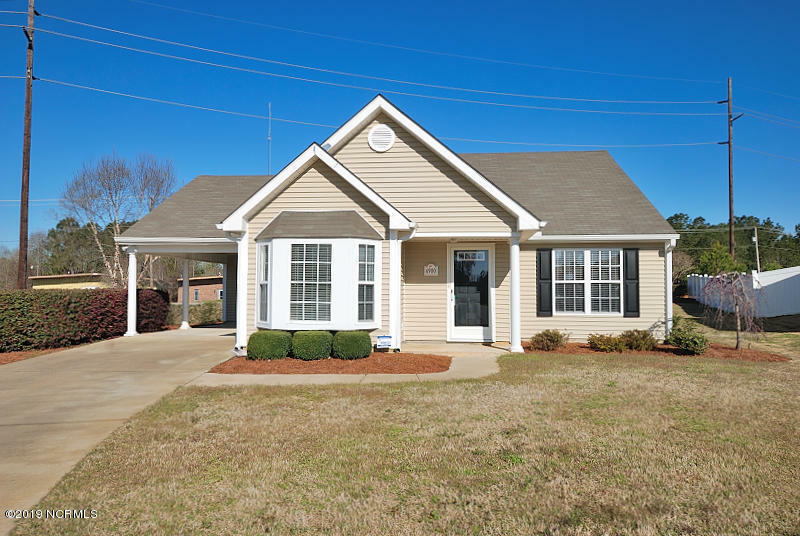 This home has a carport and a well landscaped yard. Kitchen and dining area combined and breakfast bar big enough for 3-4 places. Family room has gas fire place. Laundry room located in just the right area of the home. This home has front and rear gutters. All kitchen appliances are included! Just perfect for anyone that is a first time home owner, downsizing, individuals, or family. Tucked away yet convenient to major highways, shopping, restaurants, medical facilities and much more. Hurry to make this one your home!